Buoy Bat is the best recreational bat and ball set ever created. It's safe, easy, fun, and all ages and abilities can be good at it. Buoy Bats are handmade in Maine from real foam fishing buoys and hardwood handles. 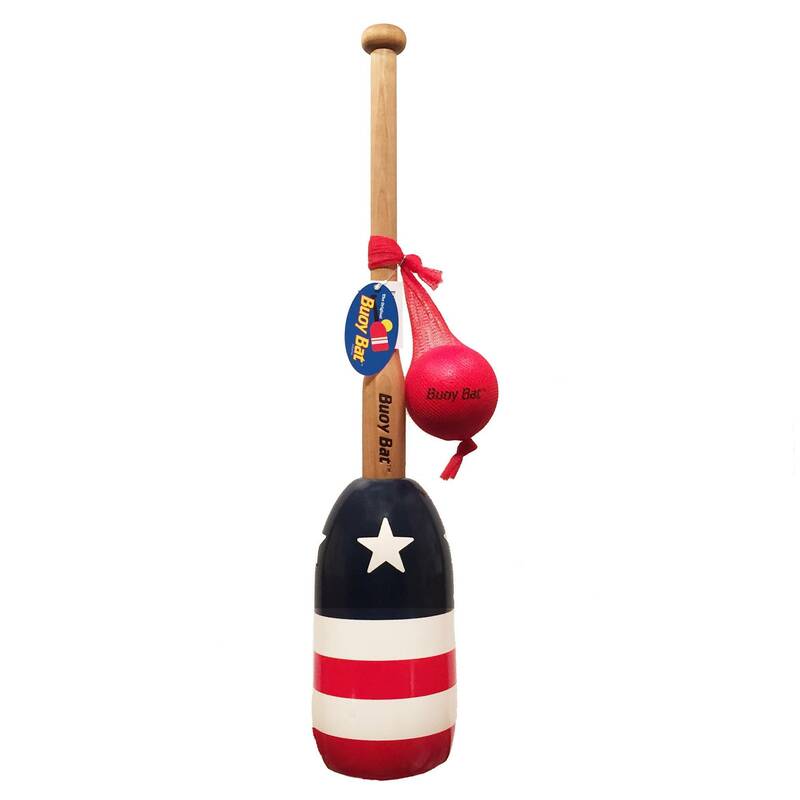 Played like baseball, stick ball, or wiffle ball, Buoy Bat is perfect for the lake or beach wicked easy to hit because of the oversized sweetspot. Comes with a face-friendly soft foam ball that floats and won't damage windows. 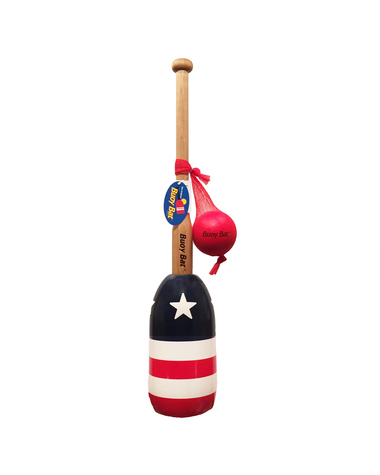 Buoy Bat is fun for the entire family.Unbreakable with normal use and will last for YEARS! Each bat is hand painted and made from recycled fishing buoys, so the final color and texture may vary.